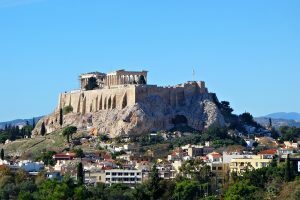 Greece is a dream holiday destination for many travellers. This country, which is considered the birthplace of Western civilisation, is well known especially for its islands and extensive coastline. But these are not the only reasons why to fall in love with Greece. Be amazed by the fascinating history. Ancient sights. White, black, red and pink beaches. Mountain ranges. Magical sunsets. Stunning views. Whitewashed villages. Lively cities. Beautiful art. Delicious cuisine full of fresh produce and flavours. Friendly and welcoming people. People who love life. Let Greece inspire you to live your life to the fullest.